New Delhi, Oct 28 (IANS) Congress efforts to build a broad social coalition in Gujarat by taking support of “disparate” groups will “backfire”, feels BJP’s top party leadership which acknowledges that there are some concerns among sections of traders on GST but is confident they will overcome the issue. Expressing confidence of winning the forthcoming assembly polls in Gujarat, the BJP leadership is also sure of getting more than three-fourth majority in the Himachal Pradesh Assembly polls. But it has not taken a final call on projecting a chief ministerial candidate in the hill state where elections will be held in November 9. Calling it a “caste alliance” the Congress’ attempts to bring together Hardik Patel, Alpesh Thakore and Jignesh Mewani in Gujarat, BJP leaders said the opposition party will find it difficult to reconcile demands of Patidar leader Patel with that of OBC leader Thakore, who has joined the Congress. They said the Congress will also not find it easy to meet the demands of Dalit leader Mevani. The BJP has been in power for more than 20 years continuously in Gujarat. A senior BJP leader said that due to the disparate demands of the social groups in Gujarat, it will be nearly impossible for the Congress to form a cohesive alliance and the opposition party will not even get 61 seats it got in the 2012 elections. Gujarat will go for two-phased polls on November 9 and 14. BJP leaders acknowledged that a section of traders in Gujarat had concerns over the Goods and Services Tax (GST) but said that the relief steps announced by the government this month had helped allay their apprehensions. The BJP leaders said that the traders in Gujarat had faced “more difficulties” in the past and their relation with the party was “so strong” that they will vote for it despite some perceived difficulties. The leaders expressed confidence of continuing to get the support of the large Patidar community in the state and said the problems that Congress will face are already coming out in the open. Hardik Patel, who heads the Patidar Anamat Andolan Samiti (PAAS), on Saturday issued an ultimatum to the Congress to clarify its position on quotas for Patels by November 3. “Congress must clarify how it proposes to give reservations constitutionally by November 3, 2017. If it does not make its stand clear, an episode similar to Amit Shah could repeat in Surat,” Patel tweeted. While Patidar agitators are in favour of the community getting reservation within the existing quota for OBCs, Thakore has said in interviews that there should be separate reservation for the economically disadvantaged among the forward castes in Gujarat. The Supreme Court-laid down norms on reservation say that quotas cannot exceed 50 per cent. Congress has indicated that it is looking to forge an alliance for the Gujarat polls. Apart from rebel JD-U leader Chotubahi Vasava, who helped the party during Rajya Sabha polls, the party is exploring tie-up with the Nationalist Congress Party (NCP). BJP leaders expressed confidence that they will achieve their target of winning 150 seats in the 182-member Gujarat Assembly. In Himachal Pradesh, BJP leaders said they would win “58-72 seats” in the 68-member assembly. They said a final decision on a chief ministerial candidate for the state would be taken in the coming days and the deciding factor would be how the party can make optimum gains. 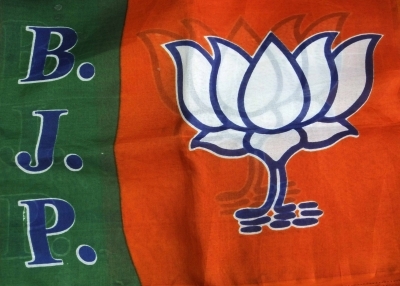 A BJP leader said the party has won two elections by not projecting a chief ministerial candidate in Uttarakhand, a hill state.